Origins of the word "steward" in transportation are reflected in the term "steward" as used in maritime transport terminology. The term purser and chief steward are often used interchangeably describing personnel with similar duties among seafaring occupations. This lingual derivation results from the international British maritime tradition dating back to the 14th century and the civilian United States Merchant Marine which U.S aviation is somewhat modeled. Due to international conventions and agreements, in which all ships' personnel who sail internationally are similarly documented by their respective countries, the U.S. Merchant Marine assigns such duties to the chief steward in the overall rank and command structure of which pursers are not positionally represented or rostered. 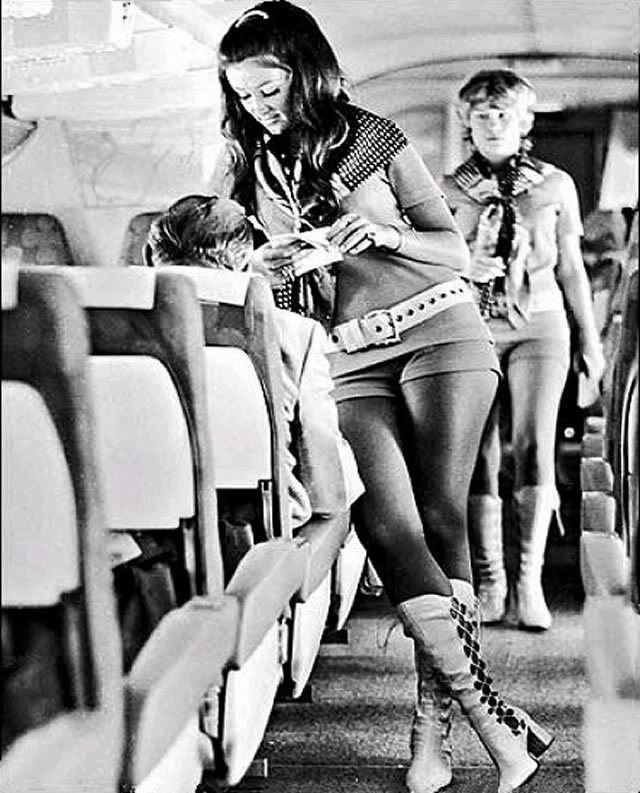 Braniff International Airways, presented a campaign known as the "Air Strip" with similarly attractive young stewardesses changing uniforms mid-flight. A policy of at least one airline required that only unmarried women could be flight attendants. Flight attendant Roz Hanby became a minor celebrity when she became the face of British Airways in their "Fly the Flag" advertising campaign over a 7 year period in the 1980s. Singapore Airlines is currently one of the few airlines still choosing to use the image of their stewardesses, known as Singapore Girls, in their advertising material. However, this is starting to be phased out, in favour of advertising which emphasises the modernity of their fleet. 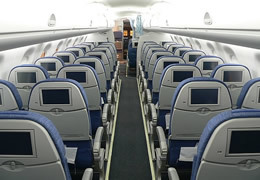 Airline managers commonly subjected flight attendants to various forms of discrimination from the early days of the profession until the 1990s. Flight attendants at United States-based airlines, and others as well, were forced to resign or were fired if they got married, if they were overweight, wore eyeglasses, if they turned 30 years of age (or 32 at some airlines). These discriminatory policies came under attack in the U.S. after passage of Title VII of the Civil Rights Act of 1964. Flight attendant unions like the Association of Flight Attendants used Title VII, in the courts and at the bargaining table, to bring an end to such practices and recognize the professionalism of the flight attendant career. The no-marriage rule was eliminated throughout the U.S. airline industry by the 1980s. The last such broad categorical discrimination, the weight restrictions were eliminated in the 1990s through litigation and negotiations. By the end of the 1970s, the term stewardess had generally been replaced by the gender-neutral, and more wordy, alternative flight attendant. More recently the term cabin crew or cabin staff has begun to replace 'flight attendants,' in some parts of the world because of the term's recognition of their role as members of the crew. 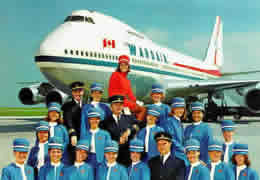 Beverly Lynn Burns, American Airlines stewardess class of 1971;first woman Boeing 747 Captain in the world July 1984. Kate Linder, actress on The Young and the Restless, who continues to fly with United Airlines on weekends, when not filming scenes for the soap opera.